Having gained a place at Cambridge University the Ruby and Will George Trust provided me a £3750 grant to help pursue my ambition. 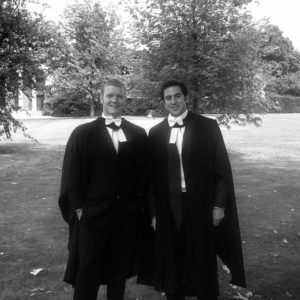 Since finishing my degree I have been working in London and India for the investment group, Blenheim Chalcot. Without the financial help provided I have no doubt that I would not be in the career position I am today, and for that I am eternally grateful. Thank you so much again for providing me with the money you did. It was extremely helpful and I really appreciate what you did.